Some professional players will match the open/bass tone to the root note of an ensemble. In most cases though, it's player preference based off desired response and pitch. The looser the head, the lower the tone/response...tighter the head, the higher response/pitch. 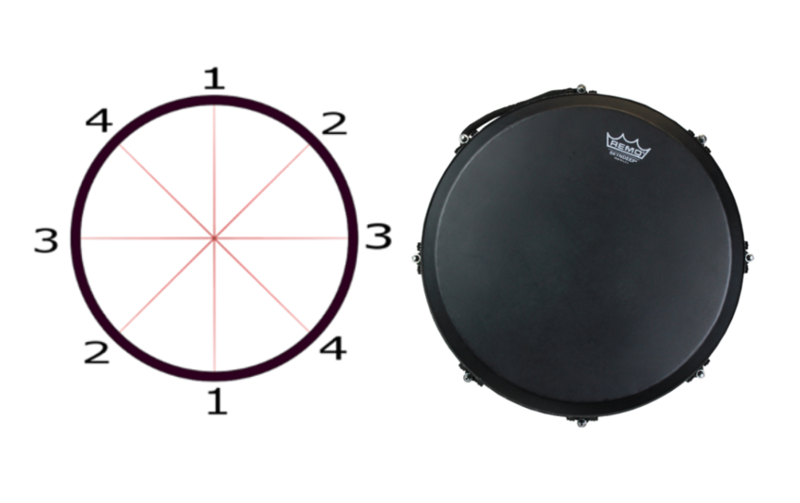 Place the new drumhead on drum and locate the Remo Crown on the Mondo™ drumhead opposite the front badge on drum shell. 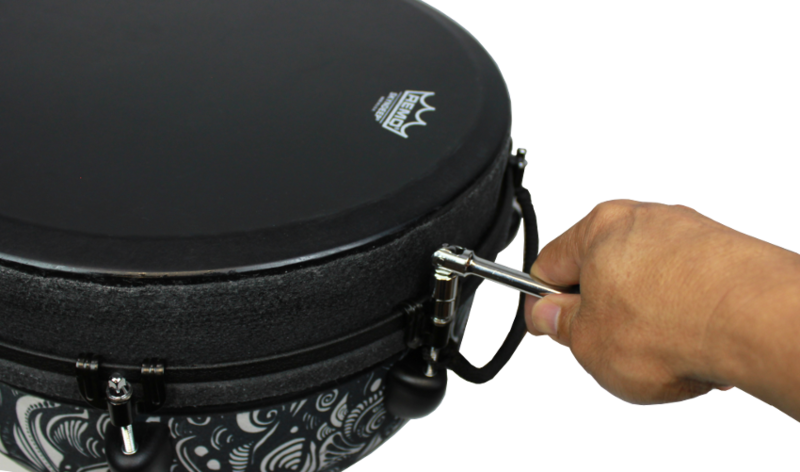 After all drum rods are finger tighten begin tuning using a criss cross method.Starting with drum rod #1 give a whole turn clockwise and continue till you complete tuning each point. You may need to repeat this a few times depending on how high you like the drum pitch to be. Once you start feeling a little resistance give it half turn following the same pattern. 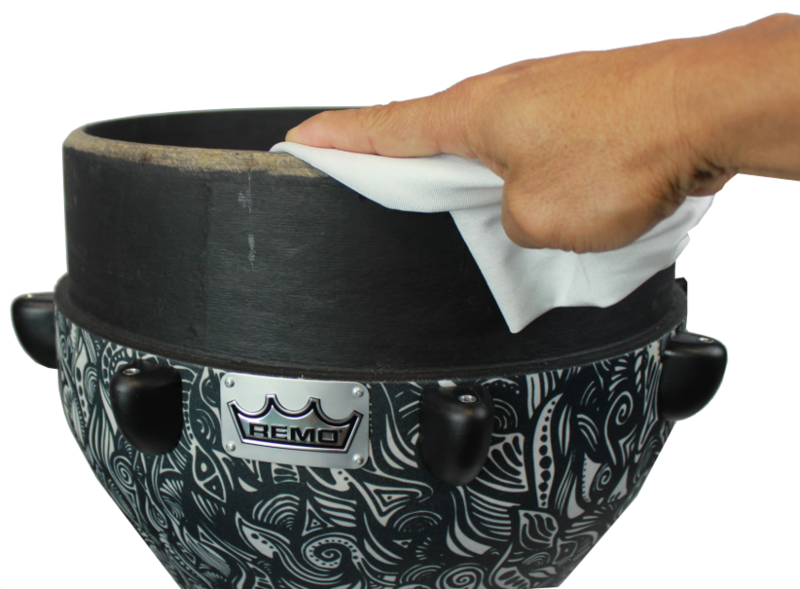 NOTE: The Mondo™ Drumhead is very durable and will last a long time. 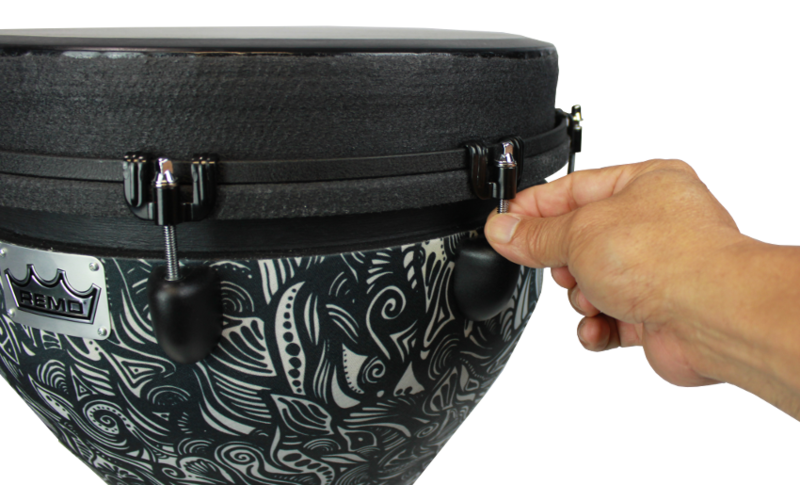 It is a replaceable drumhead and will stretch throughout the life of the drum and will need to be replaced. 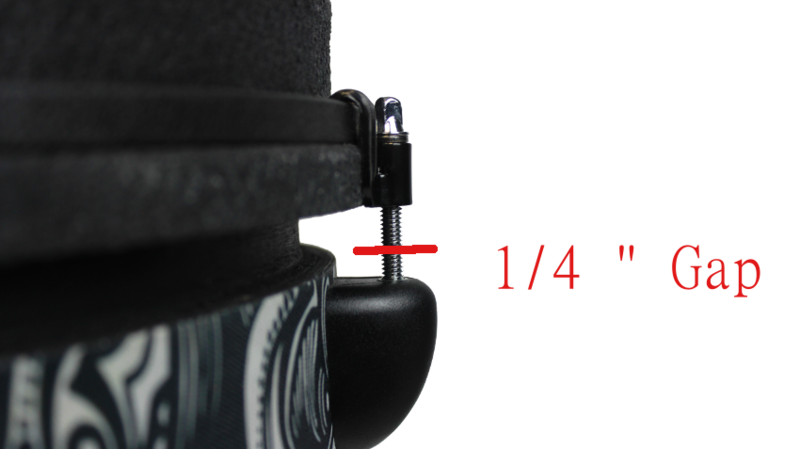 TIME TO REPLACE DRUMHEADWhen the claw hook reaches the arrow point, you may bottom out and exceed the length of the Contour tuning bracket.